World’s first 5G phone has arrived. The phone allows you to make a 360-degree video, VR video and a 4K video, all on the go. 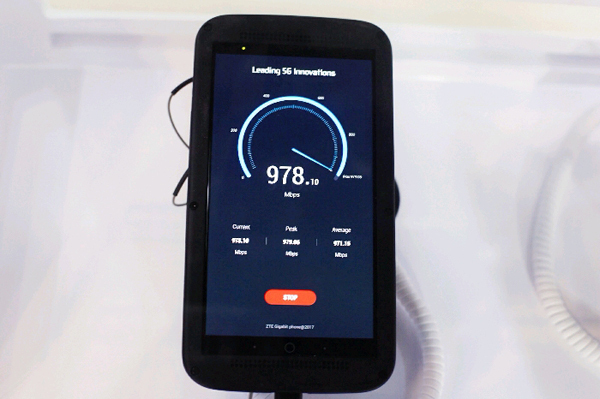 Chinese smartphone maker ZTE has unveiled this Gigabit phone. The company claims that the download speed can touch 1Gbps. It is powered by Qualcomm Snapdragon 835 processor along with Snapdragon X16 LTE modem integration. Phone achieves LTE speeds which are 10 times faster than the first generation phones. The ZTE Gigabit smartphone has an instant cloud storage capacity. The phone is equipped with an instant app, so you need not install or download apps. It also has a quick cache of music and films.